Well while my son was at his Karate lesson I took the time to go for a short run. 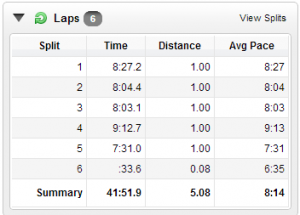 Nothing special about this except that it was a little hilly but those really added to the workout. Weather was cool but not Cold.